After a great weekend of races including the Singapore Bay Run & AHM, are you already looking forward to prepare for the large year-end marathons? Flight OSB13 is all geared up for takeoff on Sep 14. Secure your limited ticket to a smooth and fruitful marathon voyage NOW! Follow Our Pace & Win Your Race! Training Starts 14 September 2013! 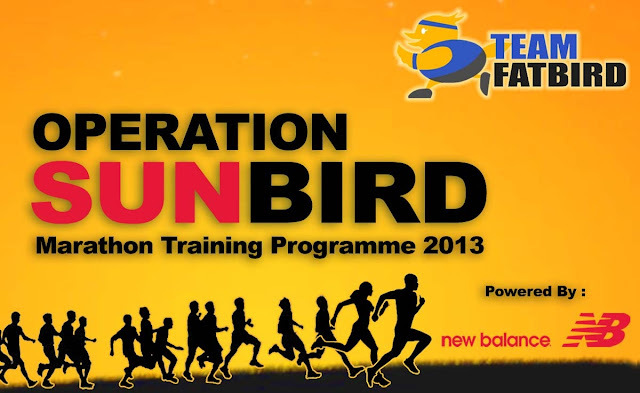 • A NB “OPERATION SUNBIRD’ TRAINING tee to all trainees on package.